IsoBuster is a highly specialized and easy to use CD, DVD and blue ray (BD, HD DVD) data recovery tool. Rescue lost files from a bad or trashed CD or DVD or a Blu Ray disc (e.g. BD or HD DVD) ! Save important documents, precious pictures or video from the family, your only system back up, ... IsoBuster can do it all ! 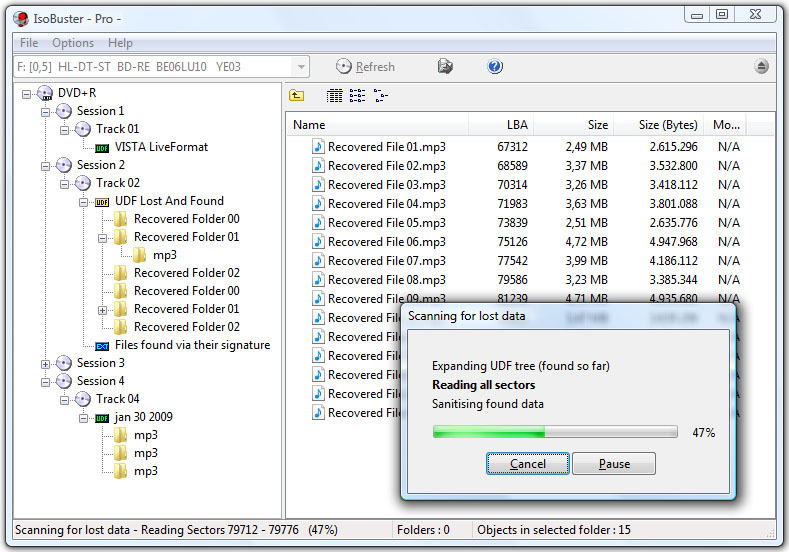 IsoBuster is a highly specialized yet easy to use optical media data recovery tool. It supports all optical disc formats and all common optical disc file-systems. Start up IsoBuster, Insert a disc, select the drive (if not selected already) and let IsoBuster mount the media. IsoBuster immediately shows you all the tracks and sessions located on the media, combined with all file-systems that are present. This way you get easy access, just like explorer, to all the files and folders per file-system. Instead of being limited to one file-system that the OS picks for you, you have access to "the complete picture". Access data from older sessions, access data that your OS (e.g. Windows) does not see or hides from you etc. I'm happy to announce the release of IsoBuster 4.3. 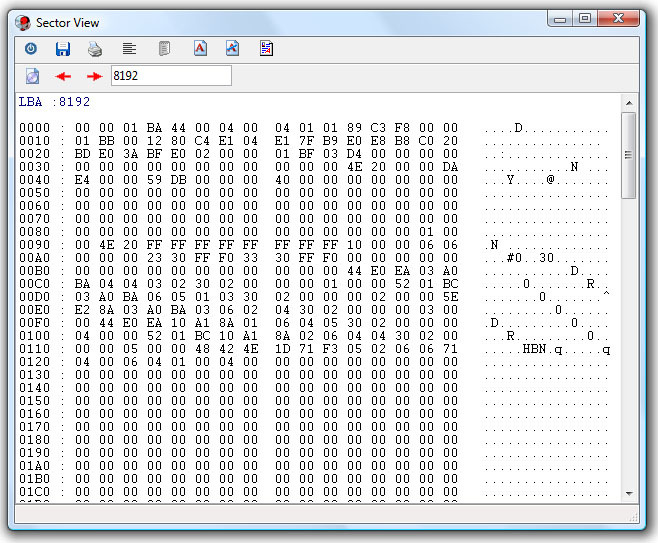 This version features full support for the XFS file system. Exploring, extracting, finding missing files and folders etc. Also new in this version is the support for brand new file extensions *.1Kn, *.2Kn, *.4Kn, *.8Kn and so on (instead of the generic *.dsk for instance). The naming convention has been inspired by the "Advanced Format (4K native)". Basically when IsoBuster now creates a generic block per block image file of a drive that natively contains more than 512 bytes per block, it uses the appropriate extensions: *.1Kn - *.64Kn. In practice (because I haven't seen any other situation) you will encounter this on 4Kn drives (4096 bytes per block: *.4Kn) and Plasmon UDO2 drives (8192 bytes per block: *.8Kn). The beauty is that now any application immediately knows what the correct sector size is inside the generic image. IsoBuster's heuristic routines to determine the sector size by itself are unparalleled, and improved once again in this version, so IsoBuster doesn't really need it, but it will make life easier for everyone and it's ideal for images that contain data that doesn't 100% correlate to a specific sector size. Global adoption of this straightforward extension naming convention will be a step forward dealing with generic more-than-512-bytes-sector image files. But that is not all. As usual there are plenty of improvements, a few fixes and other new functionality, such as dealing with RAID and LVM data structures, WBFS and so on. Full support for 8KB (8192 bytes-per-block) devices such as Plasmon UDO2 drive etc.